Premier Pools and Spas started in Sacramento and has since branched out to become the nations leading company for pool building and renovation. Our team of Sacramento Swimming Pool Builders will help guide you along the process of building your pool from design to cleanup. We pride ourselves in our work, and the fact that most of our teams have been with us since the beginning. If you're looking for swimming pool builders in the Sacramento area, you'd be hard pressed to find a pool building company that has the level of experience and commitment to customer satisfaction that Premier Pools & Spas demonstrates on every job we do. Our Sacramento based Premier Pools & Spas team provides extended service to the following areas: Elk Grove, Roseville, Rocklin, and Folsom. Whether you’re looking for new swimming pool construction in Folsom or pool service in Roseville, call Premier Pools and Spas, we service those areas! Our track record is thousands of satisfied customers long. 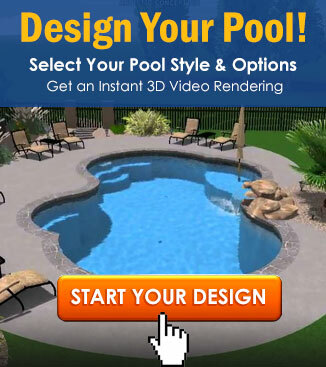 Become part of our success story and allow our expert team of Sacramento Pool Builders to provide you with a free estimate on designing your new pool or spa. If you’re located in Elk Grove and in need of a swimming pool contractor that services that area or in Rocklin looking to upgrade your existing swimming pool – think of Premier Pools & Spas first. We cover the entire Sacramento area as well as the surrounding cities. Sacramento: Can You Dye Your Pool Green for St. Patrick’s Day?